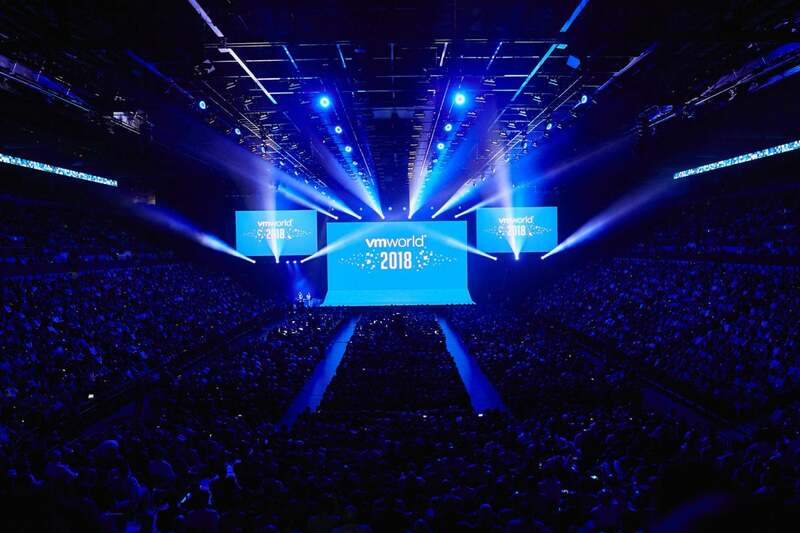 Fully baked products weren’t the only technologies on display at the VMworld conference in Las Vegas this week; VMware previewed three in-the-works projects related to edge computing, artificial intelligence and enterprise blockchain. The first is Project Dimension, which aims to deliver the functionality of VMware’s cloud offerings to the edge as a managed service. Project Dimension will combine the elements of VMware Cloud Foundation – including software-defined services for compute, storage, network and security, along with cloud management capabilities – in a hyperconverged form factor that’s operated by VMware. Just as VMware Cloud on AWS manages a customer’s infrastructure in the Amazon cloud, Project Dimension will manage a customer’s on-premises data-center and edge locations, such as branch offices and warehouse sites. The gear will reside at the customer’s edge sites – a choice companies might make for workloads that require local processing for performance, cost or availability reasons. VMware is partnering with Dell EMC and Lenovo for the hardware component, which will be designed to automatically connect to VMware Cloud and self-configure once it arrives at the customer site. Also under development is Project Magna, an initiative that aims to leverage artificial intelligence and machine learning to build virtual infrastructure that can self-optimize. It applies reinforcement learning to data-center environments to drive greater performance and efficiencies, according to VMware. In a demonstration, VMware showed how Project Magna can learn and understand application behavior, and then use that knowledge to model, test and reconfigure a network – choosing a more optimal network frame size – for greater performance. Project Concord is VMware’s initiative to help enterprises address their blockchain goals, and it’s available now as an open source project. Project Concord is a scalable, energy-efficient, decentralized trust infrastructure for digital consensus and smart contract execution. It can be used to power distributed trust infrastructures, including blockchains. VMware’s vision is to build additional enterprise-focused elements – such as audit and compliance capabilities, security and fault tolerance, and integration with other VMware offerings – around the Project Concord consensus engine to facilitate trusted information sharing among enterprises. This story, "VMware has edge, AI, blockchain ambitions " was originally published by Network World.